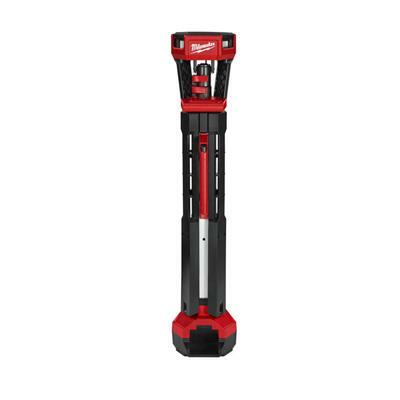 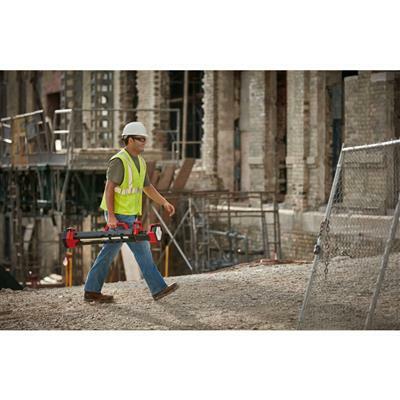 The Brighter, Tougher, Taller Stand Light – The New TRUEVIEW Milwaukee 2130-20 M18 18-Volt Lithium-Ion Cordless 2000-Lumen ROCKET LED Stand Work Light (Tool Only) is designed to give professionals an area lighting solution that adapts, performs, and survives industrial use, unlike any other portable work light. 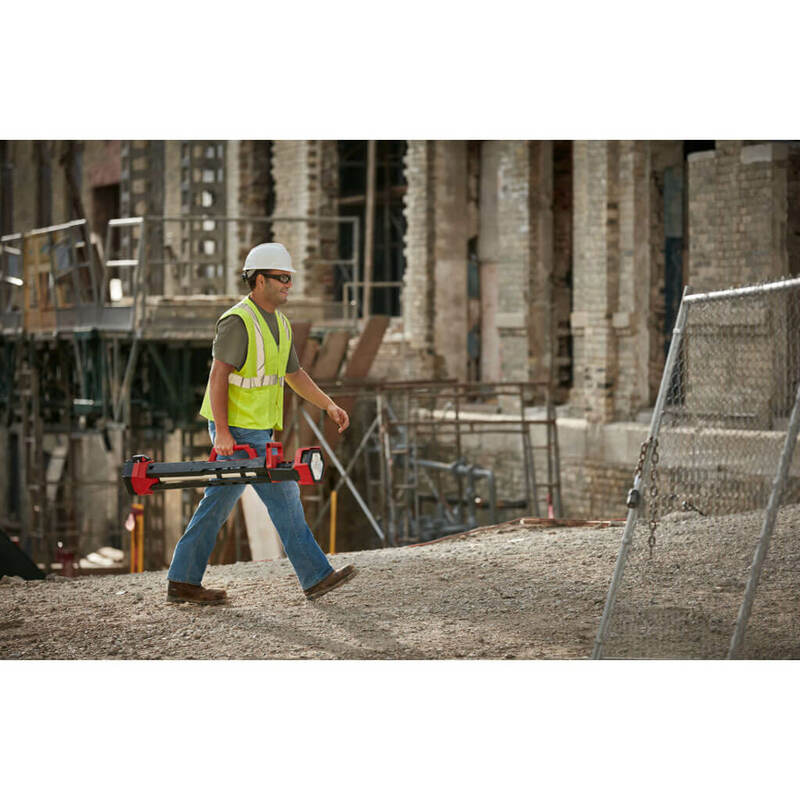 The 2130-20 can be set up in seconds with its max extension 7’ high, and it collapses down to 40” for easy transport and storage. 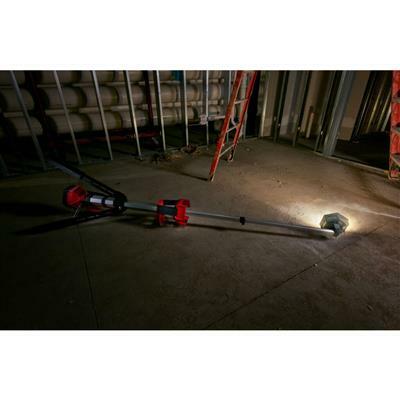 The light head can be extended from 4-7’ to light overhead work or minimize shadows when casting light downward. 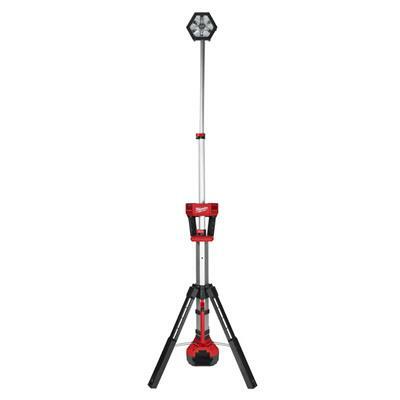 Capable of filling large areas with light, it provides 2,000 lumens of high definition light output for in its high mode, 1,300 in medium and 850 in low, and it can run for up to 4, 6, or 10 hours with an M18 REDLITHIUM XC 5.0 Battery Pack. 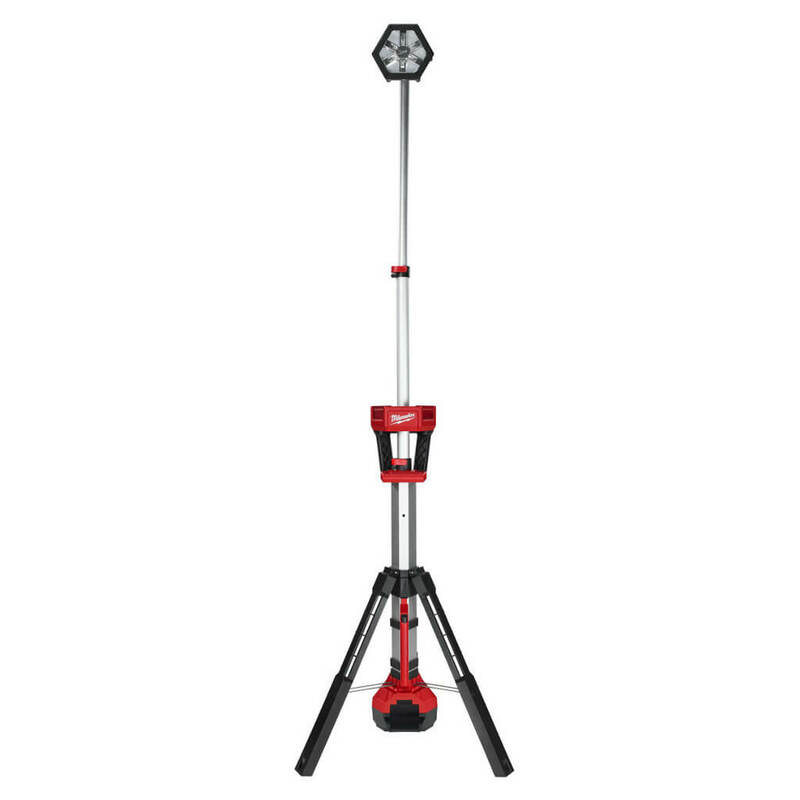 It uses high-quality LEDs with a neutral white colour and a high colour rendering index paired with a Milwaukee designed reflector to produce an even beam pattern. 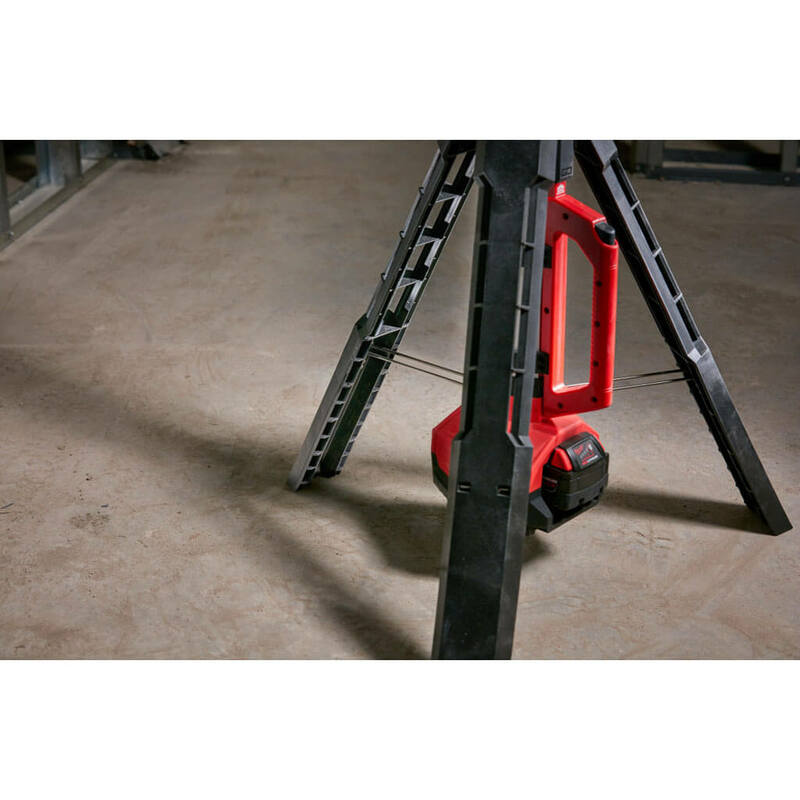 Its reinforced legs are impact resistant, and its low center of gravity provides a stable base. The light head is protected by an impact-resistant lens and bezel, and it nests into a protective shroud for secure transport and storage. Its LEDs never need to be replaced and are backed by a limited lifetime warranty. 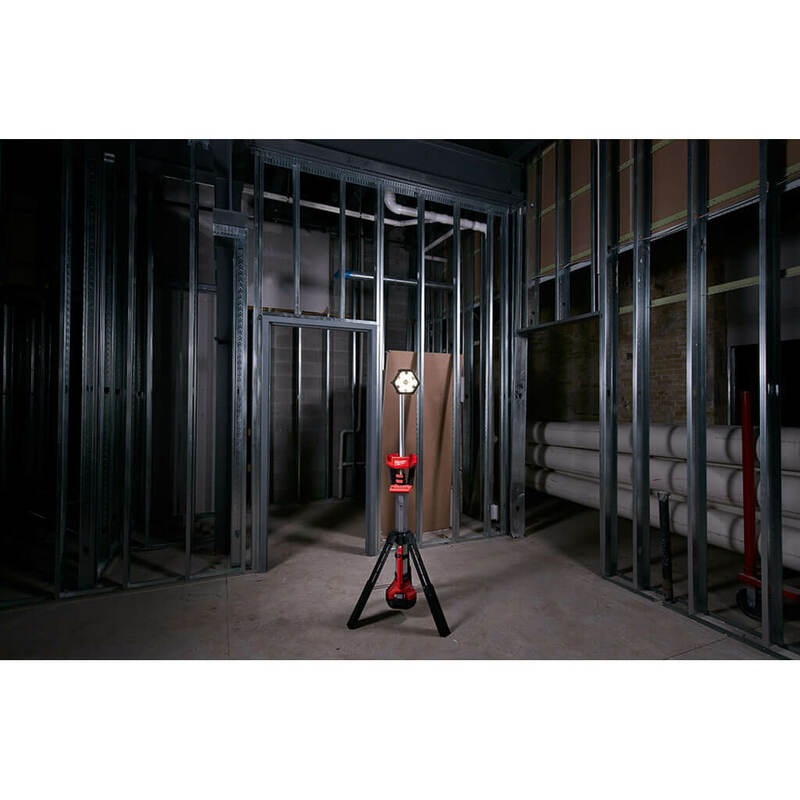 The combination of these technologies offers professionals the highest quality LED lighting solution, on or off the job site.